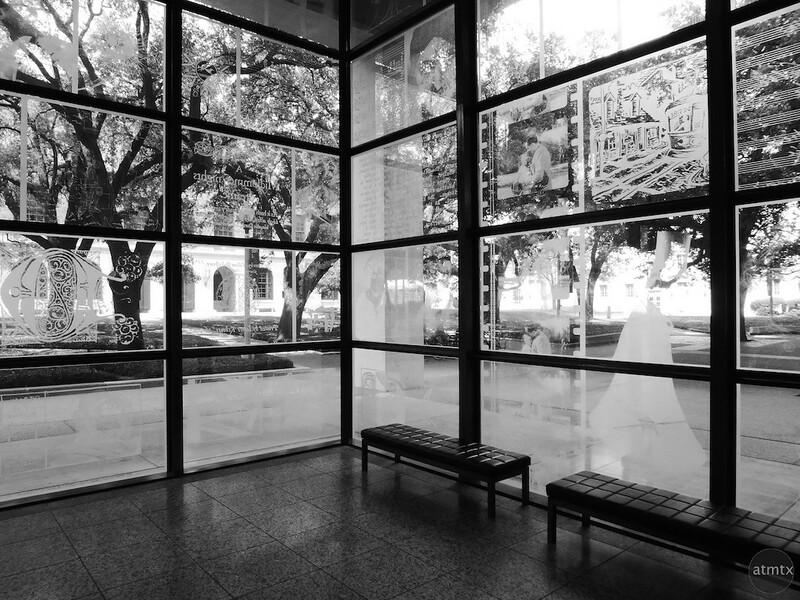 I’ve been to the Harry Ransom Center on the University of Texas campus numerous times. I’m always drawn to the light filled rooms that flank the entrance. The etched glass, the gridded geometry and the Live Oaks beyond make a compelling photograph, especially in black and white. 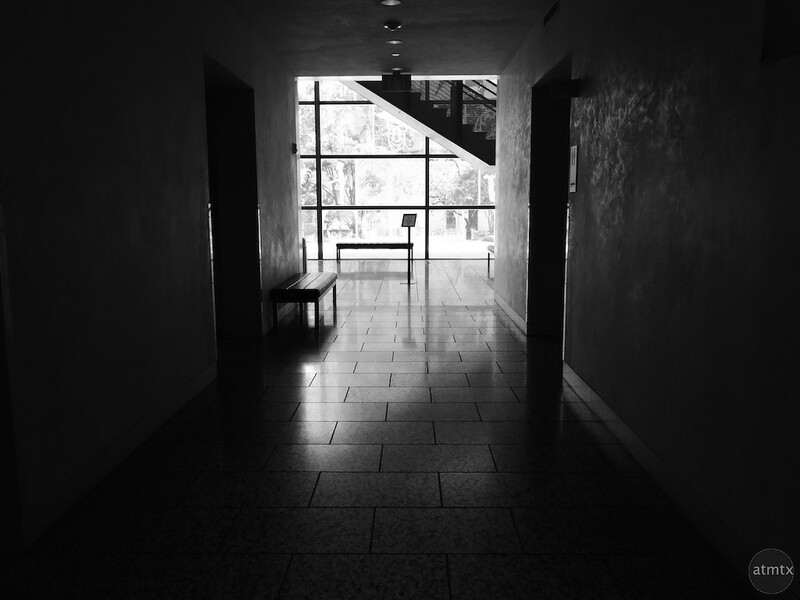 A dark hallway beckons with the promise of light and a hint of stairs. Enter the room and a graphic staircase forms the centerpiece and the etched glass, the textured backdrop. 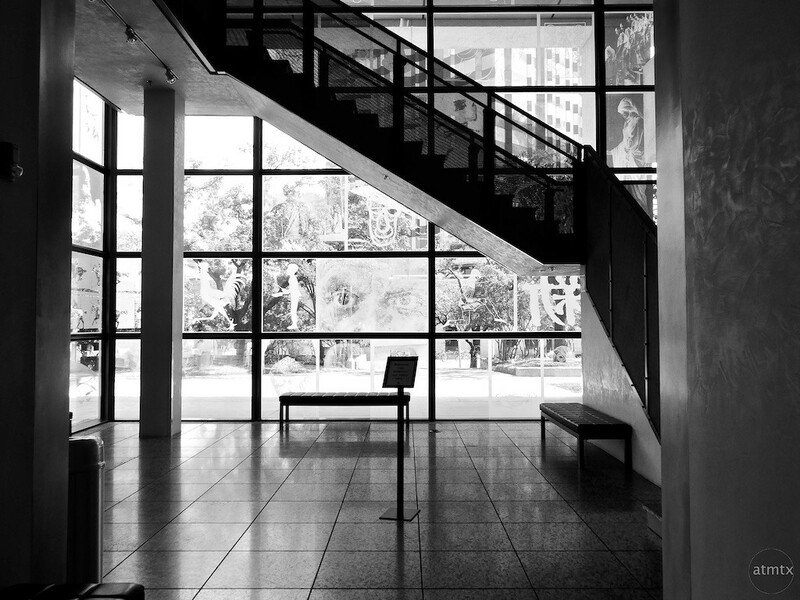 Shot with my Panasonic ZS50 at 24mm – 28mm equivalent with built-in black and white JPEG.